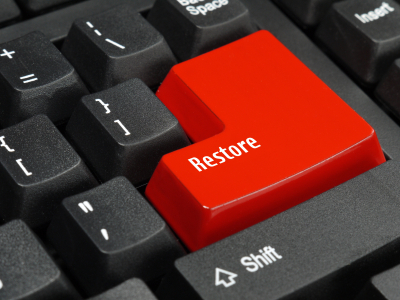 When Is a Data Recovery Service the Best Option? So you’ve deleted some incredibly important chunk of data, and you really need it back. Maybe you’ve overwritten it with too many new files or had to recently install a new operating system. Whatever the case, if you’ve only tried software solutions and had no luck, you’re not out of options yet. Many companies specialize solely in data repair services, and many of them purport to be capable of recovering files from significantly damaged hard disks. Before we start looking at the basics of data repair companies, let’s make sure you have covered all your other bases first. While it may seem like an enticing option to leave all the work to the professionals, repairing damaged files involves a fair amount of technological prowess, and often, a price tag to match. Depending on the severity of the situation, you may be able to save a few hundred dollars just by going the extra mile yourself. There’s a ton of free software out there that can find (and sometimes fix) deleted files on your hard drive. Note, though, that most of them can only restore files that aren’t heavily damaged. Depending on how recently you deleted your files, there’s a chance that you won’t need to go to great lengths to save them, because they may simply be hidden away on your hard drive. Take a look at programs like Piriform Recuva or SoftPerfect File Recovery before you decide to shell out the extra cash. Suppose you’ve tried the above options to no avail, and you really, really need your files back. More than likely, you’re dealing with damaged or faulty hardware. That means it’s time to consider professional assistance, because most software simply isn’t equipped to deal with hardware-related data damage. Be prepared; this option is typically expensive, so be sure your files are worth the cost. Repairing a sizable hard disk (or several files) could easily run as high as $300 to $500. It’s not impossible to find companies that charge less than this, but at the very least, you can expect to pay in the triple digits. Some companies charge by disk size rather than the type of task performed. If your drive is particularly small, it could work to your advantage to find companies who use this sort of price structure. Most companies aren’t particularly quick about getting your hardware back to you. If you need your files back in particularly expedient fashion, you can find companies that will prioritize your hard drive, but often at a premium. If you can help it, don’t get too anxious about getting the job done too fast, because expedience charges can get extremely costly. If you’re serious about getting your files fixed, then you have the right to ensure that you get high-quality service. Think of the investment like buying a car; it’s one of the few purchases you can make where, no matter how much research you do, you can’t be sure that you’ll be happy with the final product until you’ve actually tried it. And just like buying a car, you’ll want to reconcile that apprehension by asking lots of questions and making certain that you have a decent understanding of what’s being offered to you and the costs associated with it. Here are some tips to help you make sure you get the best service for your money. Craigslist repeatedly preaches this policy to its users, and with good reason. In-person service affords a degree of security you won’t necessarily find when your business is confined to email, letters, or phone calls. It also ensures that you’ll likely get your hardware back faster. This is almost a no-brainer if your entire computer is fried. In the event that you can’t search for local companies, the phone book should be your next logical step. If your computer is otherwise functioning, and you’re not afraid of the extra space that will be overwritten by your temporary internet files, you can also search for local companies. Try looking up popular search keywords like “undelete files” or “data repair services” and attach the name of the nearest city to the end of the search string. Google will pull up maps displaying the addresses of local companies if your search turns up enough relevant businesses. If the website design appears outdated, or many of the links are broken, try to find out when it was last updated. Usually an old and unattended site suggests the company is either out of business or not particularly successful (which raises questions all its own). Be wary of sites that use a lot of “hype” aesthetics, like multi-colored text for emphasis, lots of extra exclamation marks, and lots of information packed into a single page with few or no links. Be especially suspicious if the spelling and grammar appear subpar; though not always, it tends to be the case that most scam sites are plagued with these kinds of design problems. In any industry that has room for scammers, lot of shady sites will explain how they’re somehow far more honest than their competitors and will detail the dishonest dealings of those businesses. (Notice, though, that names and other specifics are almost always left out.) These kinds of tactics, sometimes along with unverifiable testimonials, can create the illusion that a company is particularly interested in doing business with you on a more personal level. They may be legitimate, but again, this is something you’ll usually already have inferred from the quality of the site. Again, data repair specialists are best as a last resort. Like with any major purchase, weigh the costs against the benefits, do your research, and ask lots of questions. Keep in mind that getting your files back is never a guarantee if you can’t do it on your own, and don’t pay for such a guarantee upfront under any circumstances.